This looks interesting. It might take a while to make its way to UK TV (if it ever does) but maybe it could turn up on Amazon or Netflix at some point? Still, looks intriguing. Another fun night at Worcester Speakeasy tonight. 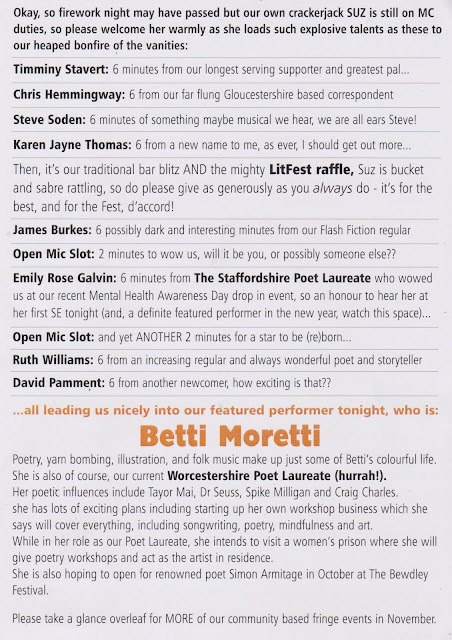 Some great poetry from Wesley Rolston (who has superb delivery and stage presence) and Staffordshire Poetry Laureate Emily Galvin, whose poems on mental health and unrequited love were very powerful with some really striking imagery and word-play. 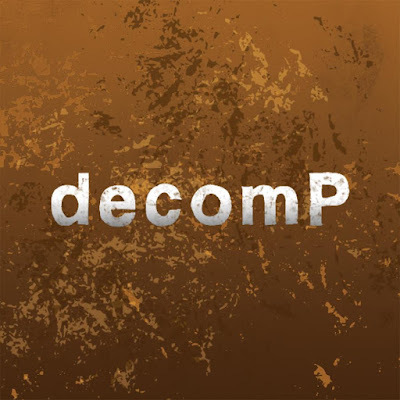 New story acceptance - "Trembling With Fear." Very pleased to have my first story acceptance of 2019! Trembling With Fear have just accepted my flash piece, "Teach Control as a Foreign Language." I had the idea for this one back in the mid 90s when I was living in Barcelona and teaching English as a Foreign Language and it has lain in the "Burr Ideas File" pretty much since then. Basically, it occurred to me that we think through language and by teaching English, you are essentially teaching people new words with which to think. You can also subtly alter how people think and experience the world. For example, the Spanish word "mujer" means both "wife" and "woman" and that says a lot about the Spanish way of thinking. After all, groups of guys nudging each other saying, "Look at that wife over there!" says more about traditional Spanish culture than a 10,000 word essay on "The Macho Patriarchy" or whatever. So by introducing the concept of women being capable of being women and, potentially, NOT wives, does in some way alter how the world can be perceived simply through the use of language. Similarly, there is the fact that Spanish is quite limited in terms of vocabulary compared to English. While I'm sure it has many variations on the word "red", from what I knew at the time it had nowhere near the nuance of English which has "crimson", "scarlet", "vermilion" "ruby", "cherry" and so on. In this way, language can atter the experience of reality and how one expresses their experience of it (perhaps partly because English is a hodge-podge of multiple languages in itself, something I explored in a horror setting in another flash piece published by Trembling With Fear, "The Last English Speaker"). From this idea, it was only one small step to think that one could use language to actually alter how people think and ultimately, how they behave. Hence, "Teach Control as a Foreign Language." It was always more of a stoned idea than a fully formed concept so I knew there wasn't a 10,000 word story in it. But once I started adapting some of these ideas into flash fiction, I knew this was one that could certainly carry a 1000 word flash story. 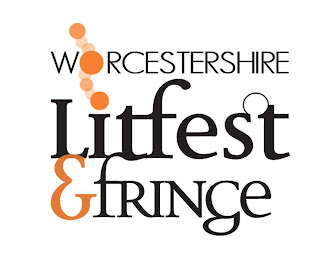 On a different topic, I will be reading "Marks on a Page", originally published in the Wired anthology, at Worcester Speakeasy tonight at Wayland's Yard, Worcester at 7:30pm. Maybe see you there! 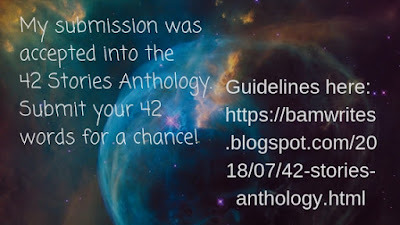 New acceptance from the "42 Stories" anthology. Just had an acceptance from an anthology with one of the weirder submission criteria I have ever come across - exactly 42 words with a 42 character title (including spaces). I sent two submissions, both of which didn't have 42 character titles (I missed that stipulation but have since changed the title on the accepted story to satisfy it). However, just for the fun of it, here is the submission that was not accepted (with its original title). I may turn it into a standard flash story of sub-1000 words at some point. He thought the cerebral vacation in his girlfriend's head would be a refreshing break in point of view. But when he saw himself filtered through her eyes he was first surprised, then ashamed, to see he was a caricature, ridiculous and absurd. The 42 Stories anthology will apparently be available from Amazon at some point in 2019. 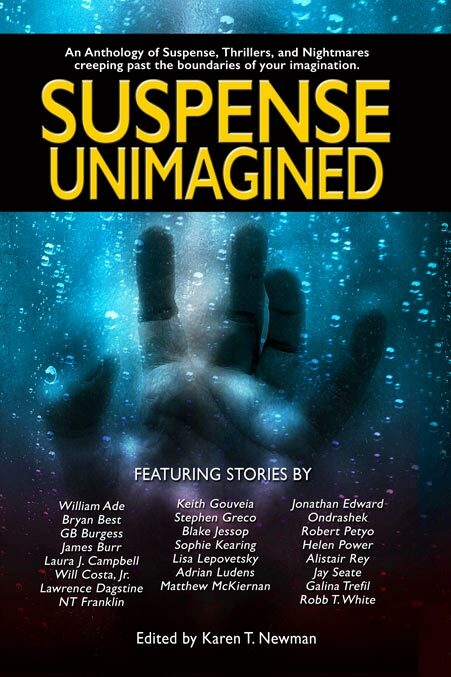 "Shooting Stars" in "Suspense Unimagined." 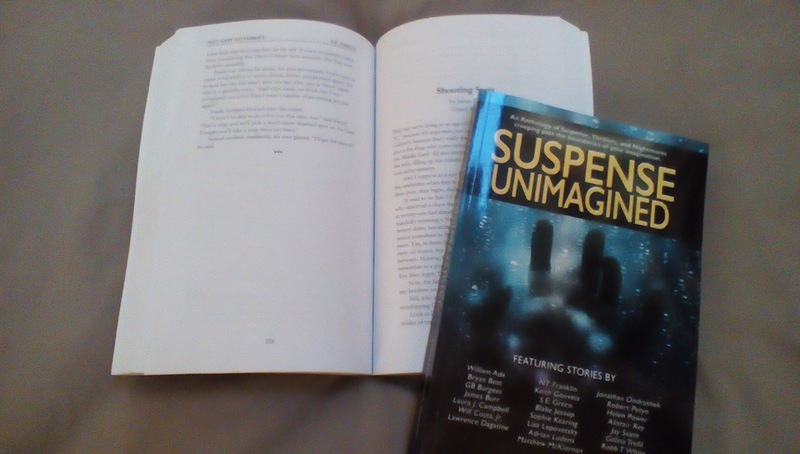 Just received my copies of Suspense Unimagined which features my 5000 word short story "Shooting Stars." I originally wrote "Shooting Stars" maybe 15 years or so ago (I do tend to sit on my stories for many years; partly out of being too busy to work on them and partly because I'm a big believer in polishing and editing stories, and I think this works best once you've pretty much forgotten them so you can approach them with a fresh pair of eyes). I can't really remember the origins of the story but I think it was one of those instances where I read a story somewhere else and the story went nowhere near where I thought it would go based on its premise, so I ended up writing the story I thought I would read. 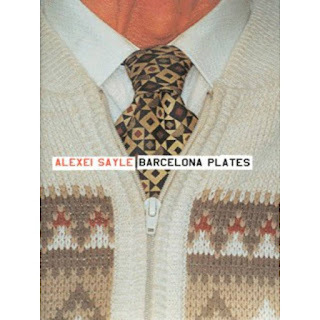 I had been reading Alexei Sayle's Barcelona Plates collection, so it could have been "The Minister for Death" although I can't remember anything about the story other than it featured a pensioner who was a contract killer. One thing that was certainly the case was that, even though this wasn't the usual kind of collection I read, it did really resonate with me at the time and I very much enjoyed Sayle's sneery narrative voice in many of the stories. I'd used a similar type of narrative voice in "Foetal Attractions", "It" and "BobandJane" and not only did I like it but I also found it very easy to write in and, as I had recently written several stories with a more traditional narrative voice, I felt it was time to do another where I could sneer away to my heart's content. 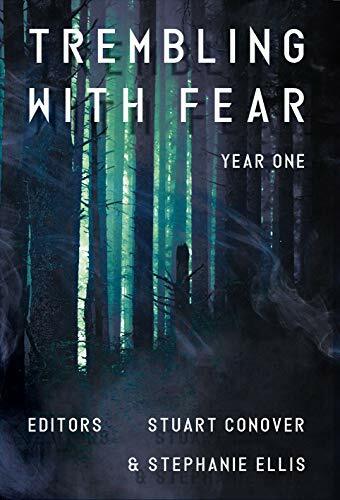 Like all those stories, this one too came out quickly and virtually fully-formed (as easy as I find that voice, I try not to use it too much as I am aware it can wear the reader down). I can't remember where the initial idea of s celebrity serial killer came from, but the title came from the Vic and Bob quiz show, (".... Welcome to Shooting Stars / Welcome whoever you are / The guests have been greeted / The stars are now seated / So come along and let's start Shooting Stars!") and the intent was to use the story to satirise contemporary attitudes towards celebrity, attitudes which have become even more bizarre with Instagram models and Love Island competitors and so on getting their mugs into the national Press. Throw in the thwarted (and clearly terrible!) novelist aspect and the "creative" deaths angle and bingo! There you have it. This one did the rounds of lots of anthologies and magazines and even though I always liked it, it never quite got accepted. Several places said they liked it and one or two said they would like to use it but they felt uncomfortable about the use of real celebrities' names. But it finally got accepted by Suspense Unimagined and I am very happy with that. It's a really nice looking product that has clearly been put together with care. Anyway, Suspense Unimagined can be bought from Amazon UK here or directly from the publisher's here. 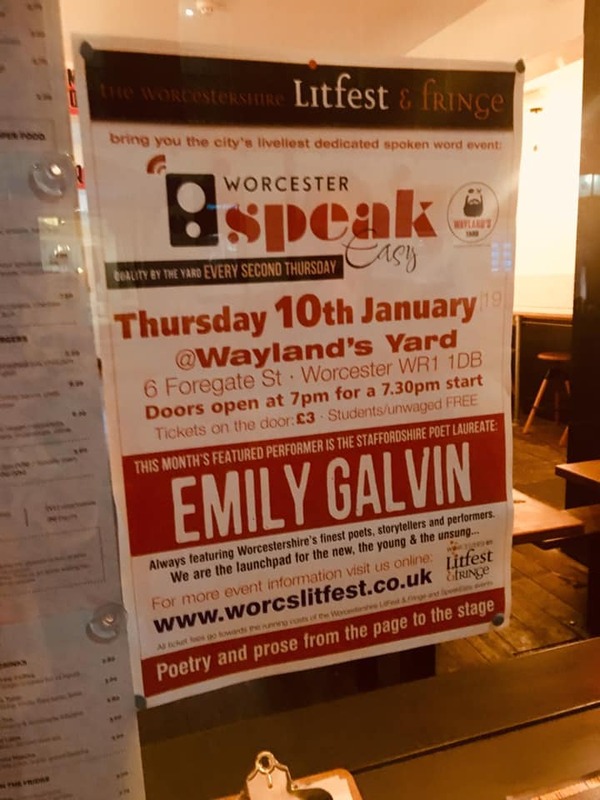 Reading at Worcester Speakeasy - Thursday 13th December. 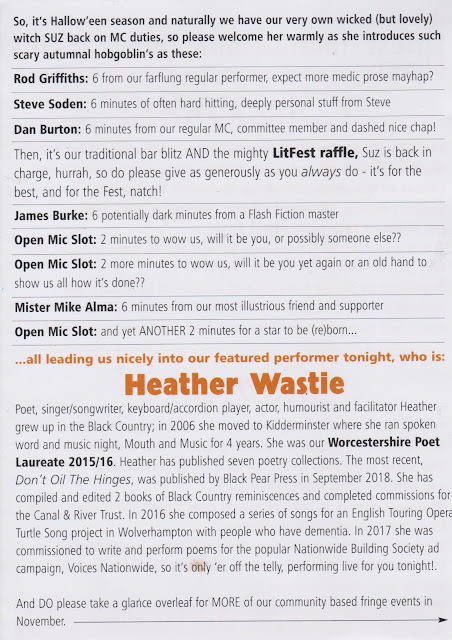 A particularly good night at the Worcester Speakeasy last night with, as always, a great flash story from Roz Leavens and some powerful poetry from Daniel Burton and Wesley Rolston. I gather Wesley is relatively new to the Spoken Word scene but his delivery and stage presence is superb. 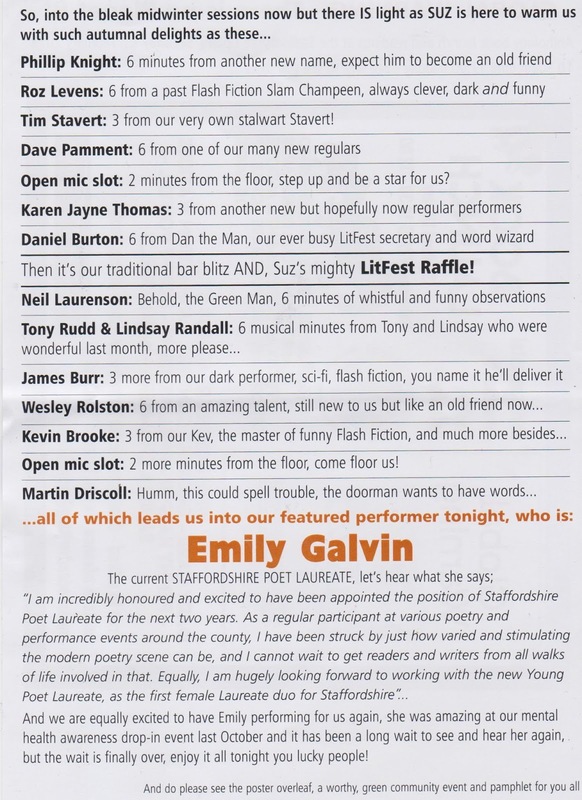 However, they got my name wrong on the flyer (yet again!) despite putting "Burr" in huge letters at the end of the email asking for a slot. Still, I'll let it slide since they call me a "master of deep, dark works from the flash fiction master." I guess that makes me a super-master, or something. (*blushes*). I read "BobandJane" from the Ugly Stories, one that while on the longer side (7 mins in its most edited form) usually goes down well. It was a weird one, though - the audience was split so around half of them were in their 60s and 70s and half were in their 20s to 40s. I noticed that in the spots where there are usually big laughs, there were just two or three of the younger people laughing, but not the almost comedy-set laughs it usually gets. And when I finished, instead of the usual polite but hearty applause you get at these things, there was a few moment's silence before people started applauding. At first I thought it had actually bombed, but then I realised as people actually cheered (!) and started applauding that it had been an almost stunned silence. The poet who came on after me was all, "Well, how do I follow that?" and I had 5 or 6 people come up to me afterwards saying how much they enjoyed it and how they thought it would go down well in some of the more raucous spoken word events in Brum. But despite the very positive response I got from the younger half, I got the feeling the older group were confused or disappointed or wanted to hear more conventional fare. Still, I enjoy Speakeasy and will undoubtedly do a few nights there next year. 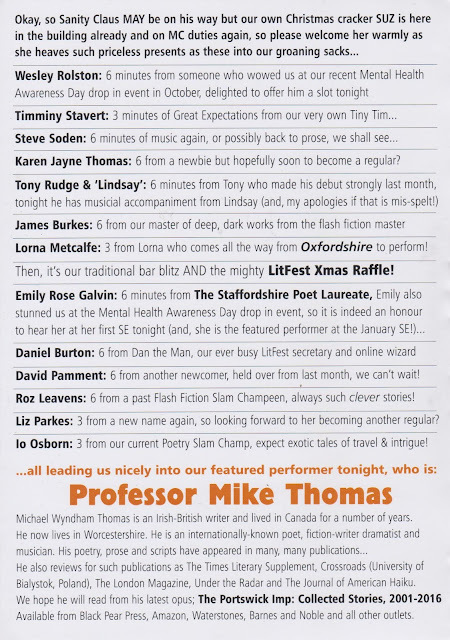 But now it is really time I start branching out into Birmingham and the Permission to Speak night in Stourbridge. 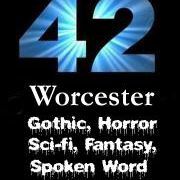 So, another reading done with the good folks at "Worcester Speakeasy." 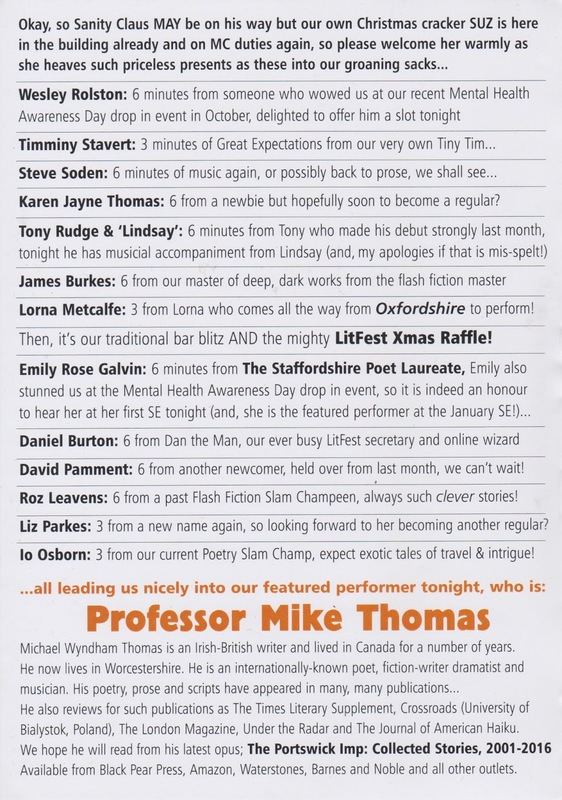 When booking my slot I rather stupidly forgot to give my pen-name so was listed under my real one, but the MC, Suz Winspear, knows me and announced me as "Burr", so it was all good. I only had 6 minutes so I performed "The Chaotic Butterfly" and "Genuine Photo" (which was originally published in A Cache of Flashes in 2016). Both seemed to go down well, although one audience member did seem confused and said he had no idea what I was on about. So, success! 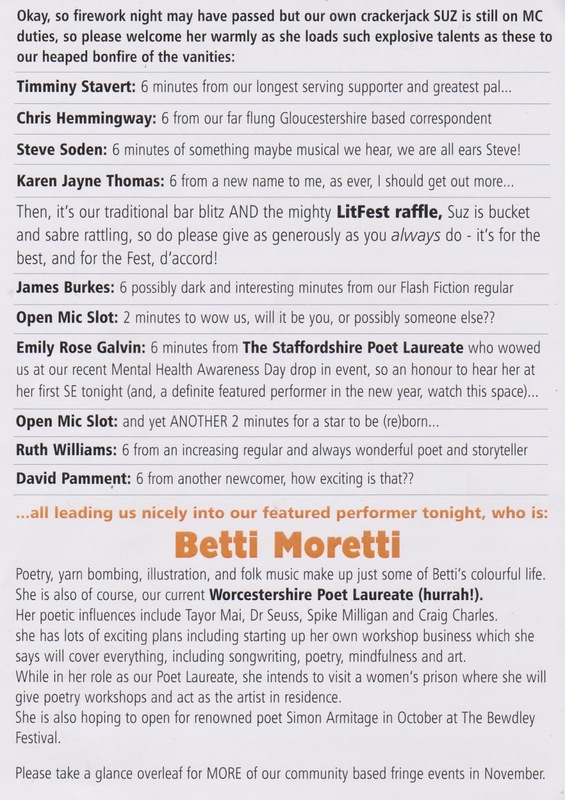 I'm also hoping to attend Stourbridge's spoken Word event, Permission to Speak, at Claptrap the Venue next month, although that will mainly be as an audience member and just to get the lay of the land and to see if it's the sort of night where I would go down well. Hopefully, that will mean expanding out beyond Worcester. Then there is also a night in Wolverhampton and several nights in Birmingham I want to check out. Who would have thought I'd get so into performing when I hate public speaking so much and my idea of Hell is being an actor on stage? Then again, being able to read and not having to rely on my blown short-term memory is, of course, an advantage. Just a quick note to say that I'll be reading a flash piece, "Casanova Jones", at 42 on Halloween at the Swan With Two Nicks in Worcester (7:30 pm start). 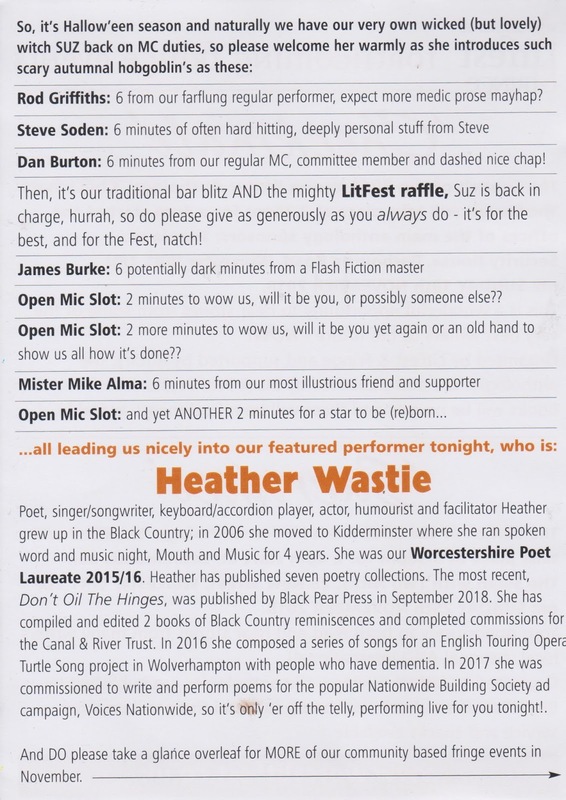 Then I also have a 6 minute slot at the Worcester Speakeasy at Wayland's Yard, Foregate Street, Worcester on 8th November, starting at 7pm. Just received my copies of Trembling With Fear. Very nicely produced volume, I have to say. 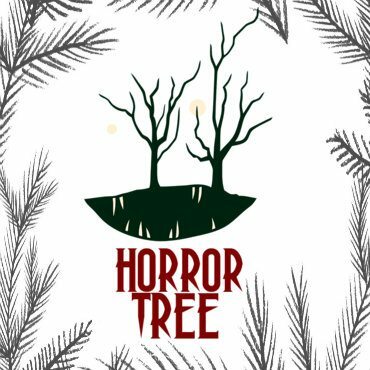 The Trembling With Fear anthology from Horror Tree Press is out now. I have flash ("The Last English Speaker") in it. 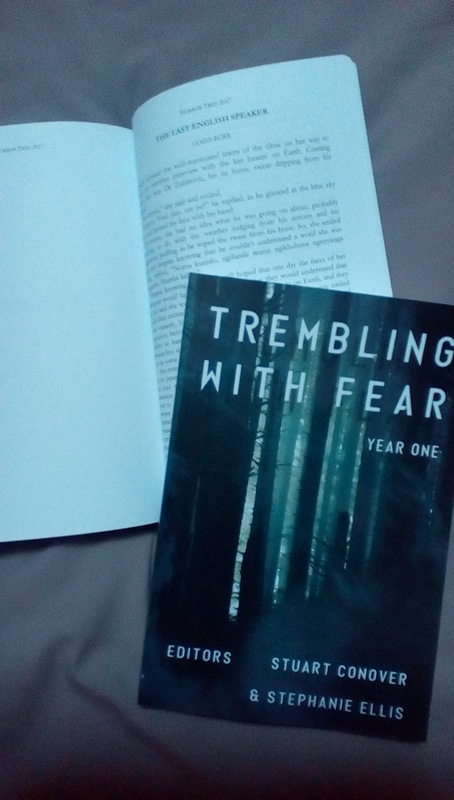 Trembling with Fear is available from Amazon UK here and Amazon US here. Still, who can quibble when they call you a "flash fiction master"? Was a fairly low turnout compared to most evenings (maybe a dozen?) but there were some great performances. I particularly enjoyed Heather Wastie and Mike Alma's readings from their book of WW1 inspired pieces, Voices of 1919. I ended up performing "The Friend We Made" which was published at Bizarro Central last week and was happy that it seemed to come across quite well when read out loud (you never know, especially when reading "weird stuff", how things will get across, especially if people are unfamiliar with you and your work and don't know what to expect). In other news, there are quite a few pieces coming out in print anthologies very soon. 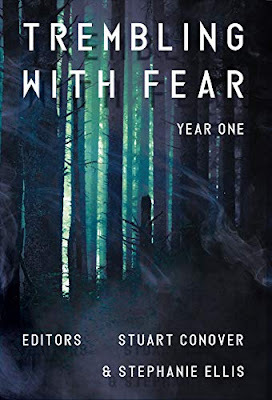 The Trembling With Fear anthology should be out literally any day now, and that contains a flash piece, "The Last English Speaker." 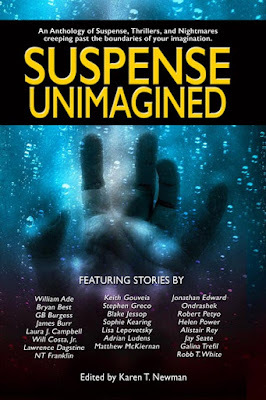 Then Suspense Unimagined should be out nearer the end of the year, which contains the 5000 word short story "Shooting Stars." And finally, talking to the editor of the Worcester Flash Fiction Prize last night, it seems I have at least one flash piece (and maybe more?) 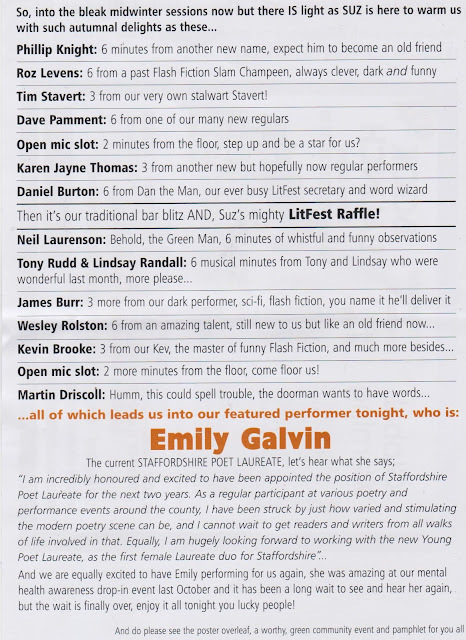 appearing in this year's Competition anthology Sacrifice, which will be published on 25th November. 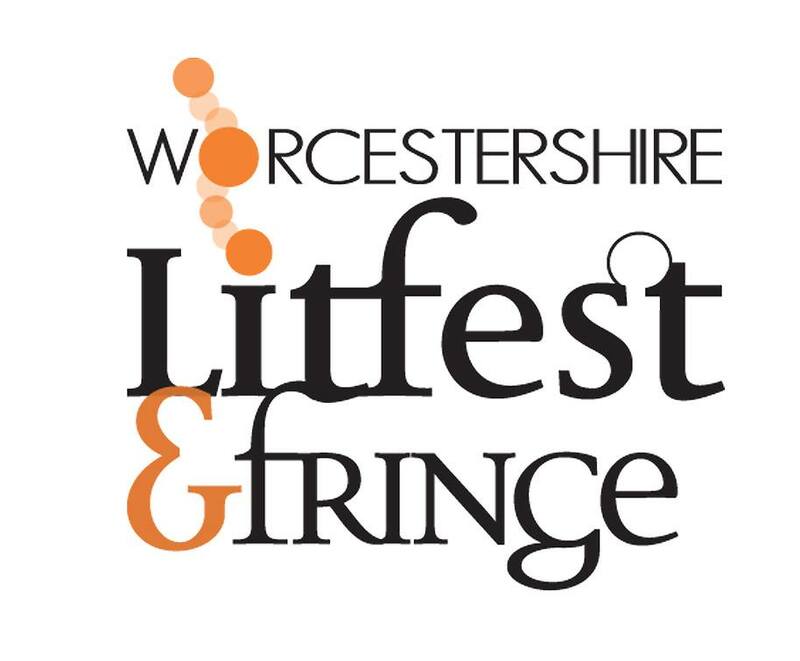 I'll be reading something at the launch, which takes place at 3:30pm in The Swan With Two Nicks, 28 New Street, Worcester, UK.